That. Was. FANTASTIC. I cried more than once. My heart died like five times. 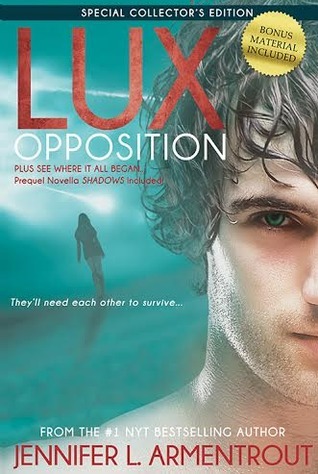 And I really really really freaking loved Opposition. Sign into Goodreads to see if any of your friends have read Opposition. 15.76% ""Kitten?" "Yeah?" "I love you."" 22.51% "I have this theory that Jennifer L. Armentrout wants me to never sleep. I mean, why else would she write books that are so difficult to put down? I keep trying to find a stopping place with this book and then BAM. Something else happens. It's amazing, but how am I supposed to ever sleep?" 31.89% "brb I gotta go listen to Icarus by Bastille now"
36.59% "You know, I'm not the biggest fan of Rick, but even I can't say Shane would have been a better father. That guy just wasn't stable. GOVERNOR, however, totally was a better father figure--sociopathic tendencies aside, of course. (yeah, that was me replying to Daemon & Archer's discussion)"